Hey girls, I hope you are having a nice day! We girls like to have beautiful hair though sometimes we neglect about our hair care routine. I was very careless about my hair care to be honest but after my recent hair cut from Depilex Islamabad, I noticed my hair are not growing much now. As my hair are thin, I keep chopping them off to improve the hair volume. I was curious why my hair are not growing as usual? then my mother noticed the reason is my diet. 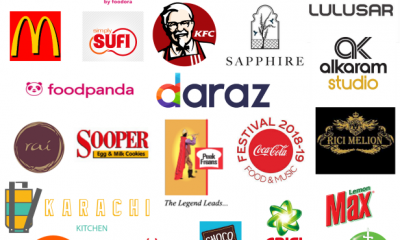 My diet plan was not healthy as I was trying to reduce some weight but ended up like facing this issue. 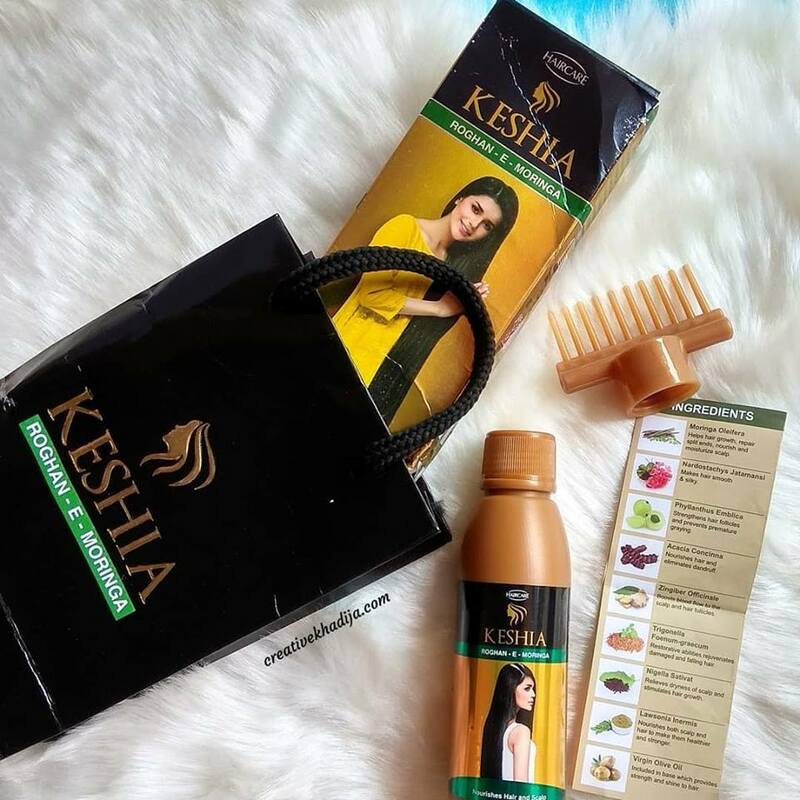 These days I was looking for some tips and totkas about how to grow hair faster when I got my hands on this Keshia natural oil for dry and damaged hair treatment. 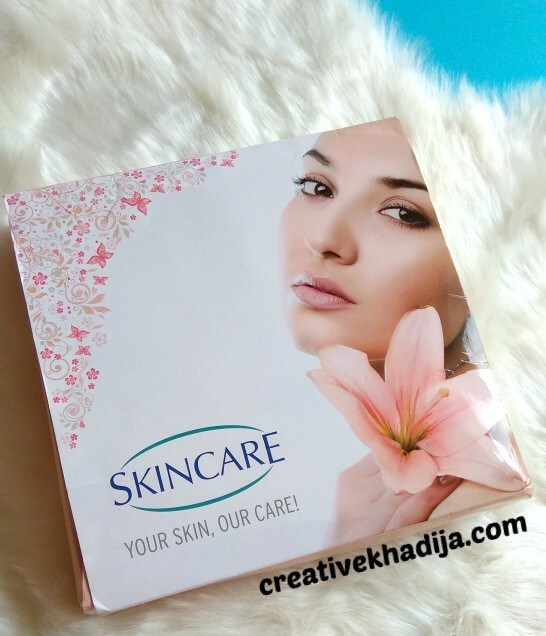 I received this product from “Skinare Global ” brand for the review purpose & all views about the product in this post are truly mine! 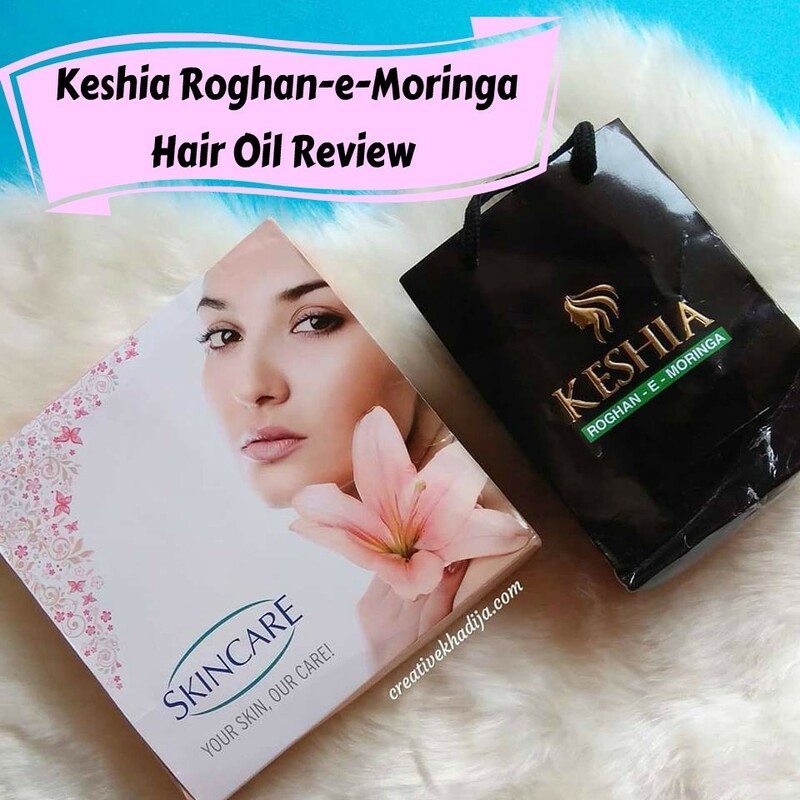 Keshia Roghan-e-Moringa is a natural hair care product to make your hair healthy, strong and smooth. It contains 9 natural ingredients to grow them faster than usual. The package I received was not only an oil but with some other Skincare products too. About three weeks back when I received it, I’ve shared un-boxing on my Instagram Stories as well. 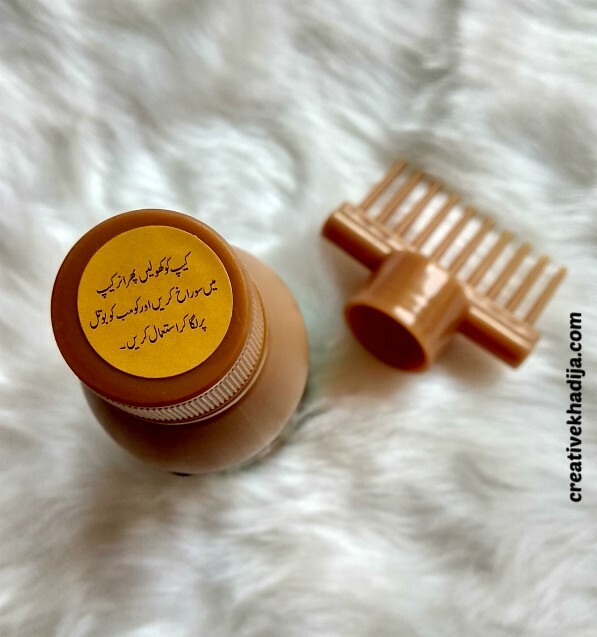 So after applying the hair oil for few times, now today I am sharing my experience and final verdict about the product. 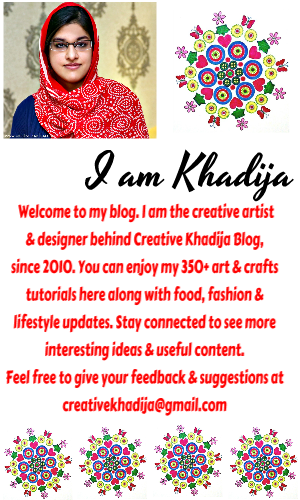 Have a look please! The package includes a bottle of oil and a special cap with comb. 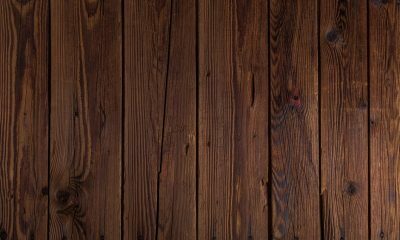 Oil drips through the comb holes and reach directly to hair roots and scalp. with root bottle, its a lot easier to apply oil in the hair roots specially. This hair oil is specially for dry & damaged hair. Ingredients you can see above in the picture. There is an inner cap too, where you will make a hole and then use the comb cap on it. When you will turn the bottle upside down, you will see oil dripping through the comb holes easily. I am not into skin whitening creams actually. So I gave it to one of my friend who use skin whitening products. About the products for men, I forced my brother to use these though he don’t like cosmetics much. hehe! I asked him to use these and give me his honest reviews. 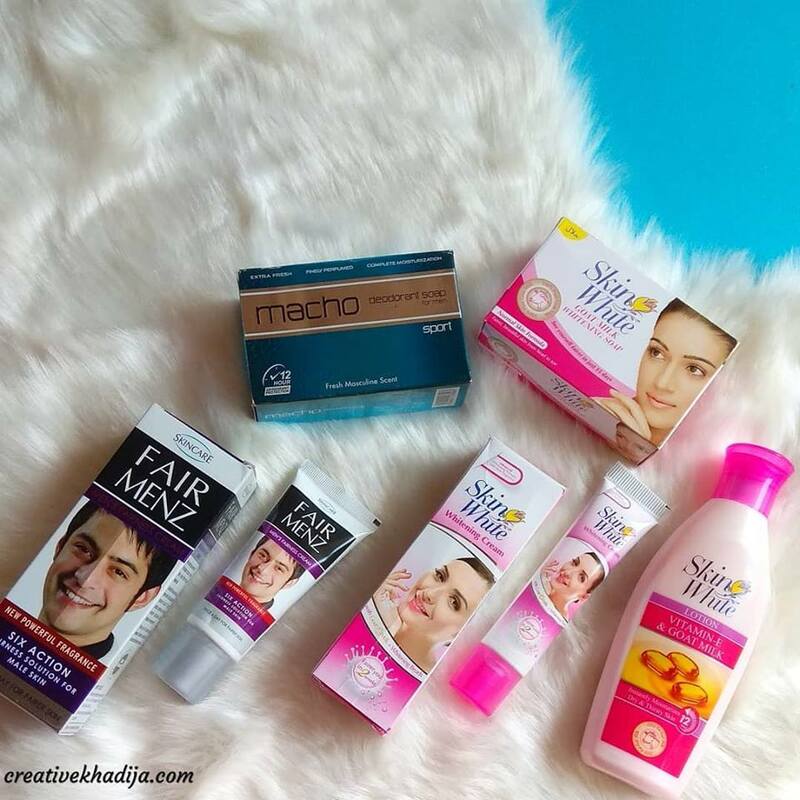 There are two skin whitening creams for men & women both. Also two soaps for men and women skin types. The moisturizing lotion you can see here is the only product I tried. Let’s talk about these products result now! 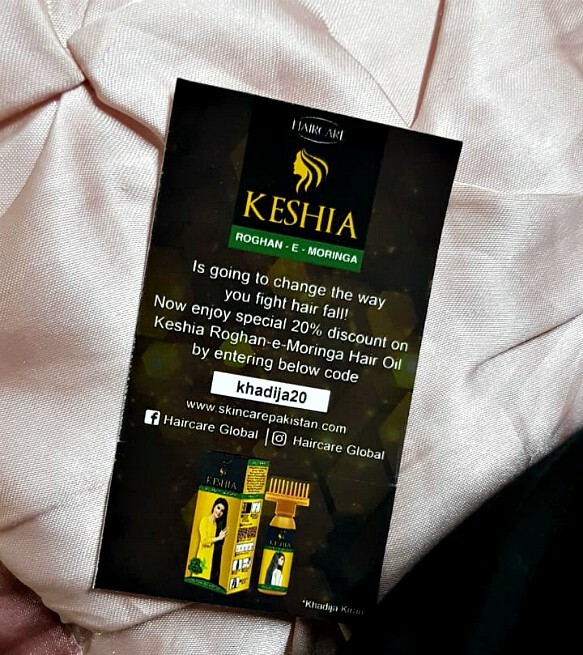 I tried Keshia roghan-e-moringa hair oil 4 times since I received it. I feel my hair volume is getting better. I don’t have hair fall issue though but I notice less hair in my hair brush these days. The essence of oil is strong for me as I don’t personally like any skin care or hair care products with fragrance. Oil can be removed with shampoo from your hair easily. It makes your hair very smooth as well. I will rate the hair oil 4/5. 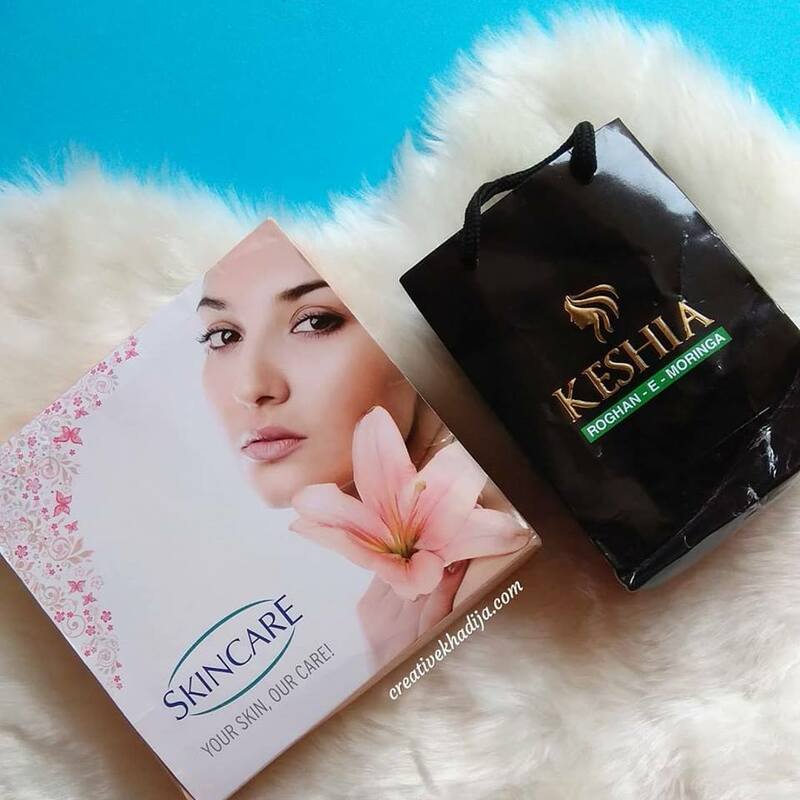 About skin care products, my friend used these and satisfied. She really liked the soap by the way! And my brother who was forced by me to try these men skin care products also liked the products and using these now happily. They rated the products as 3.5/5 and 4/5. If you are looking for the solutions about how to reduce hair fall and increase hair growth, now you have an answer. Also you can use my code to get discount :) This code is valid for two weeks only! I hope you liked my review today. 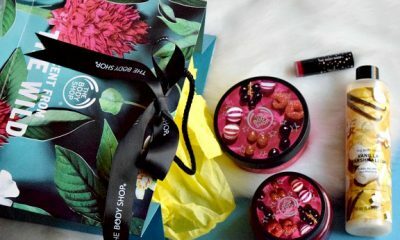 I will come up with more products reviews soon! Feel free too share your thoughts in the comments section below. If you have any question or suggestion, write me! Thanks for reading the review. 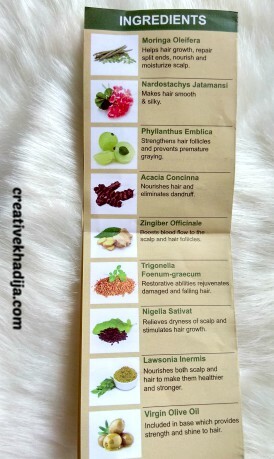 I hope it will help you in selecting hair oil next time.